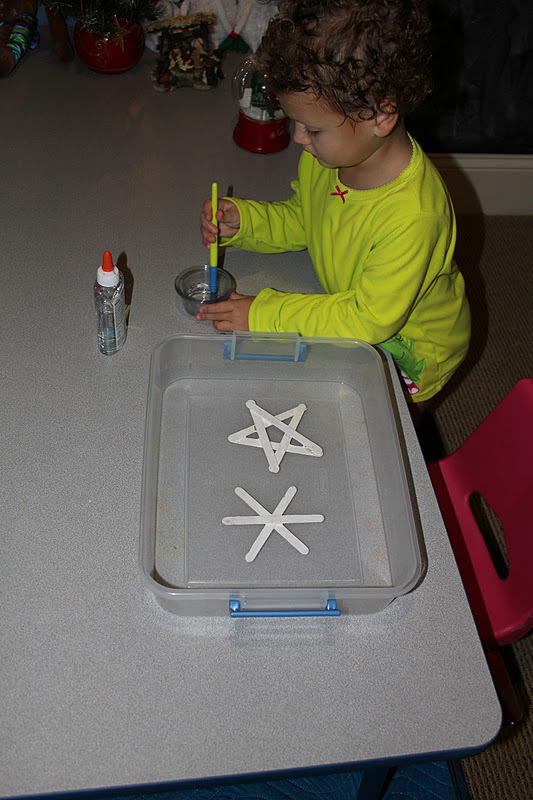 We made a snowflake and star by gluing popsicle sticks together. However, you can also make a Christmas Tree, little presents, etc. 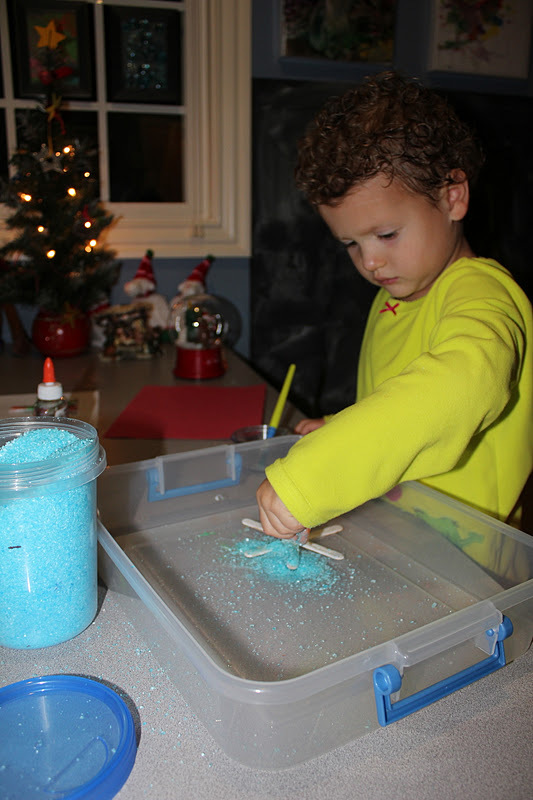 Also, if you do not have any epsom salt on hand you can always use glitter. Both will give you wonderful results. After they were finished drying my girls wanted to paint them... so we did. You do not have to do this. This was a day long project. I loved that they revisited them a few times throughout the day. To color epsom salt... just mix it with food coloring. To hang these I plan on attaching a piece of yarn with gorilla glue. Oh what a great idea! I love the snowflake. We tried this today and the kids loved it. Where did you get such a large amount of salt? No epsom salt in the house so we're going to try it with cookie sprinkles! Thanks for the idea!